This gorgeous backside belongs to the Spot-sided Coreid (Hypselonotus punctiventris). 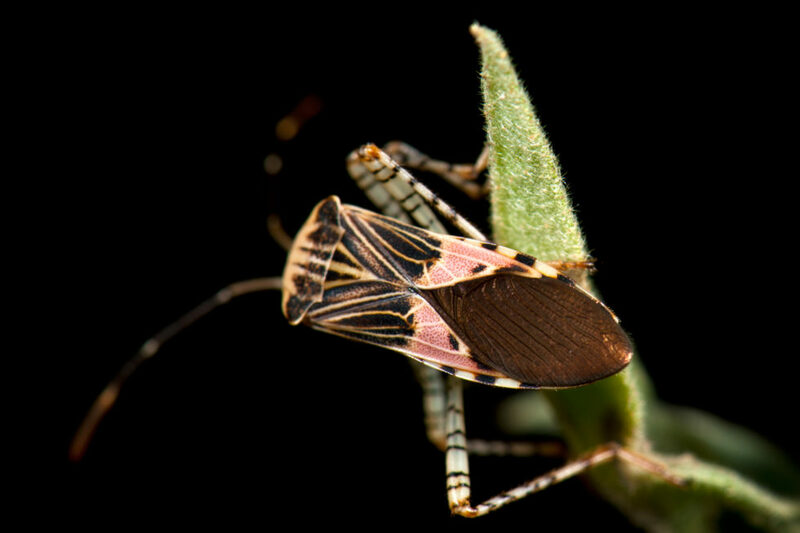 Spot-sided Coreid are a True Bug that feed on plant juices. They have been recorded in many southern U.S. states and south to Belize and Guatemala. And although they feed on mallow and other various flowering plants, they do not present in numbers great enough to be considered a pest.